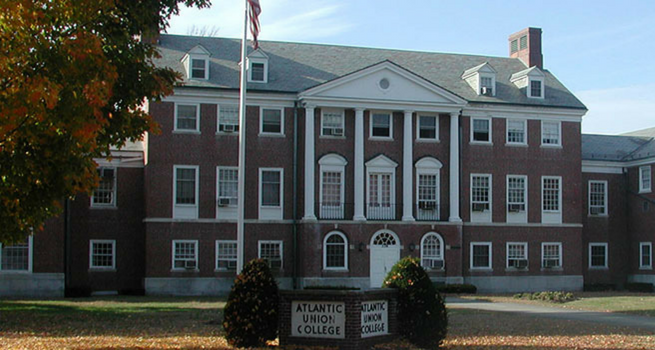 Student Petition Urges: End Atlantic Union College’s Scam! In the petition, created August 12, students levy several accusations against the school, which lost its accreditation in 2011, closed for several years, and then reopened in 2015 with Dr. Avis Hendrickson at the helm. In an interview with Spectrum shortly after she was named president, Hendrickson spoke optimistically about the future of Atlantic Union College. She expressed hope that the school would be “in the process” of regaining its accreditation within two years. Students who attend unaccredited institutions are not eligible for federal financial aid which makes it difficult to attract students and costly for those who do attend. Further complicating matters, in May of 2017, the Southern New England Conference announced it was pulling its subsidy to the College, placing the school in an even more precarious situation. According to a current student who asked that his name be withheld, a group of students is behind the petition though it is written in first person. Attention has been given to transparency and communication with all members of the College constituency: Union, conference, churches, faculty, staff, students, and local areas surrounding the College. There are published newspaper articles, monthly faculty and staff meetings, meetings with faculty, staff, and students, for the delivery of information on college updates and questions from the participants. A monthly e-newsletter, The Ambassador, is sent to all the constituents. Transparency is further emphasized with the students regarding the accreditation status of the College during the admissions process. Students are informed about the accreditation status and sign a form acknowledging receipt and understanding of the accreditation information. Atlantic Union College has withdrawn accreditation applications from two (2) accrediting bodies, primarily for an incongruence of their tenets with Adventist doctrine. Accreditation is important but not at the risk of compromise. NEASC (New England Association of Schools and Colleges), the regional accrediting body, is the group the college is working with to gain accreditation. To date, the college has made measurable progress. In the interest of the academic standing of students, the College has worked on obtaining articulation agreements with Adventist institutions of higher education. There is an articulation agreement with Southwestern University and an articulation agreement with Andrews University awaiting signatures. Additional articulation agreements are being sought from more institutions. The AUC Board of Trustees lowered the tuition to nearly half of the cost to attend a private institution of higher education. Students are encouraged to work on or off campus in order to meet their financial need. This method supports students’ graduating with little or no debt. Presently, AUC is operating without federal financial assistance. The College is owned by the Atlantic Union. The financial matter regarding funding from the conferences is an issue under the purview of the Atlantic Union Conference. They are giving attention to this matter. In Fall 2016, AUC had 31 students enrolled in degree programs and 38 in certificate programs. This was up from Fall 2015 which had 23 students in degree programs and 16 in certificate programs. The retention rate was 80% between Fall 2015 and Fall 2016. The ethnic makeup of students in 2016 was 78% black, 16% hispanic, 4% asian, and 2% white. 65% were male and 35% were female, and 91% identified as Seventh-day Adventist, per AUC’s enrollment report. The current degree programs offered are a B.A. in either Theology or Religion and a B.S. in Health Sciences/Biology. The six continuing education certificates offered include Certified Bookkeeping, Cisco Networking and Security, Evangelism Training, Medical Billing and Coding, Medical Office Assistant, and Pharmacy Technician. Fall 2017 begins on August 27 for certificate programs and August 28 for degree programs. Enrollment numbers are not yet available for the new school year according to Dr. Hendrickson. Alisa Williams is managing editor for SpectrumMagazine.org.